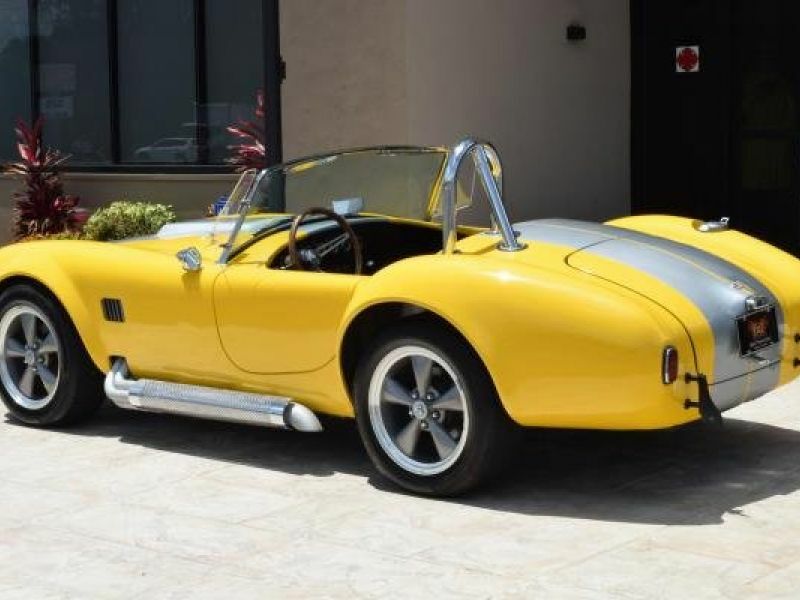 1966 Shelby Cobra for sale - Classic car ad from CollectionCar.com. 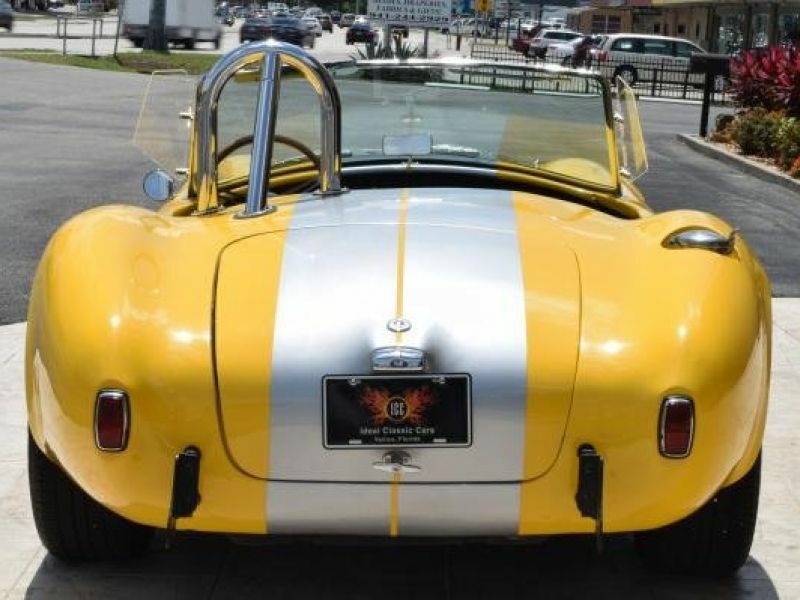 1966 Shelby Cobra1966 Shelby Cobra Replica finished in a beautiful bright yellow paint with silver rally stripes, Cobra style side pipes, and great looking 5 spoke custom wheels wrapped in Pirelli tires and an awesome chrome roll bar. 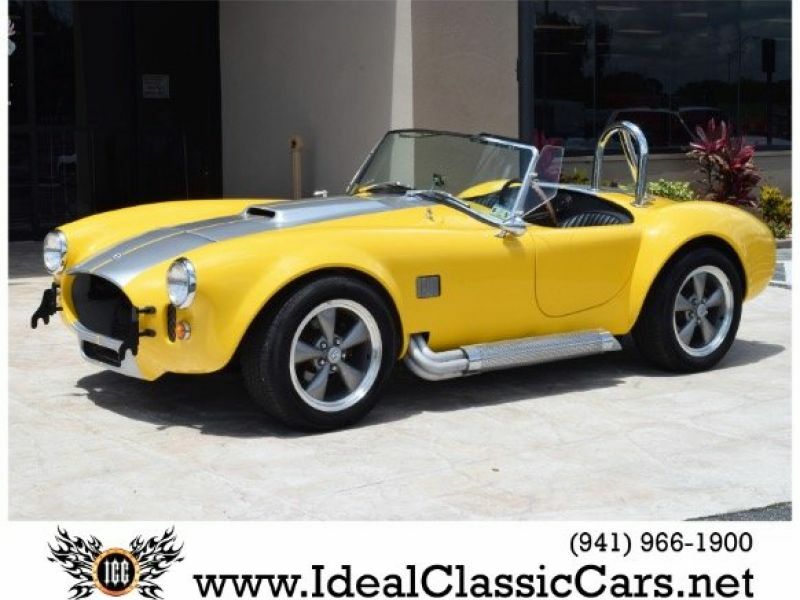 The Interior features black racing style bucket seats, Tilt wheel, AM FM CD player, and a complete set of gauges including tachometer. 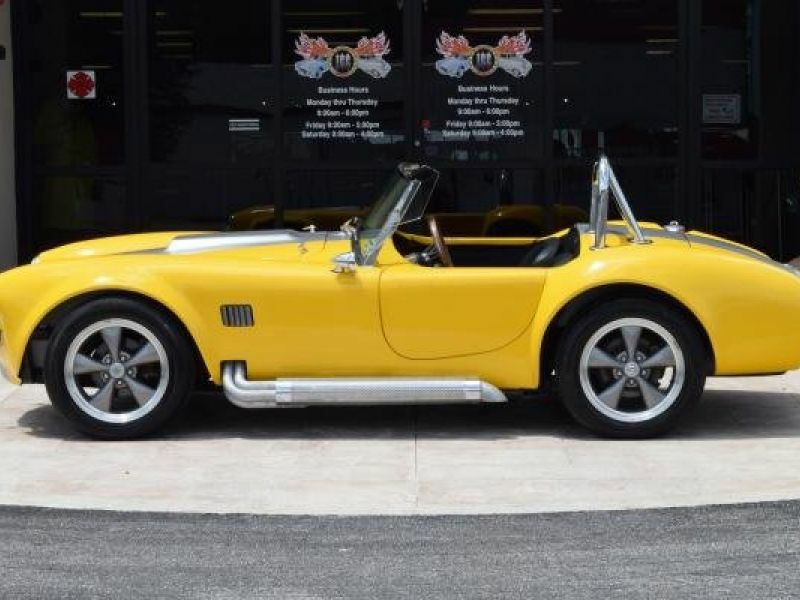 Mechanically speaking this Cobra features a strong Ford 302CI V8 motor with aluminum intake manifold, 4 barrel carburetor, cobra style air cleaner and aluminum Cobra valve covers. 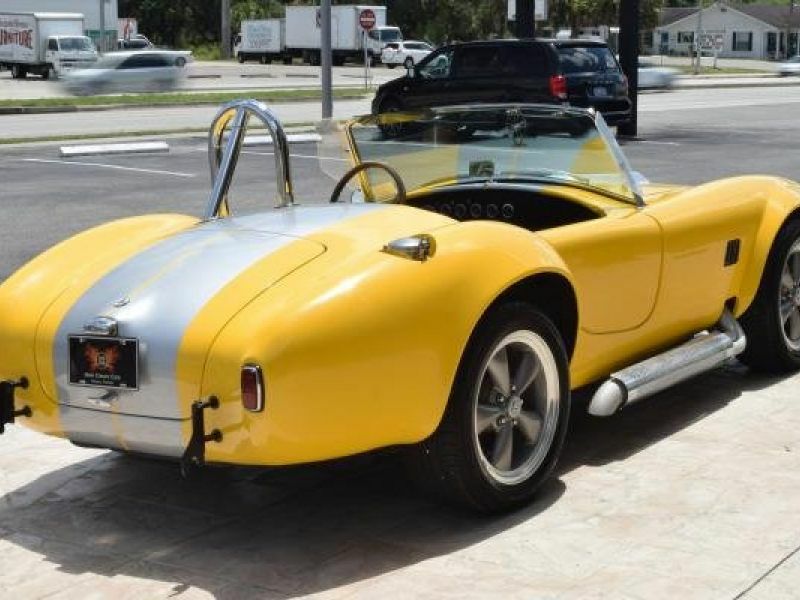 Other features Include an Aluminum radiator and Long tube headers .This motor is coupled to 5 speed manual transmission. All four corners have disc brakes and adjustable coil over shocks. This is your chance to own an awesome performance vehicle at a great price far less than the build cost so call soon before its gone.